Discussion in 'Browning Superposed Shotgun' started by Anatidae, May 27, 2018. If you have or know of a source for FN Superposed catalogs or advertisements from pre-war thru 1978, it would be helpful. I currently have a 1952 FN Superposed catalog. I would also hope to find a copy of ‘les Graveurs de Herstal’ brochure c. 1987-1992. Si vous avez ou connaissez une source pour les catalogues superposés FN ou des publicités de pré-guerre Thru 1978, il serait utile. J'ai actuellement un 1952 FN superposées catalogue. 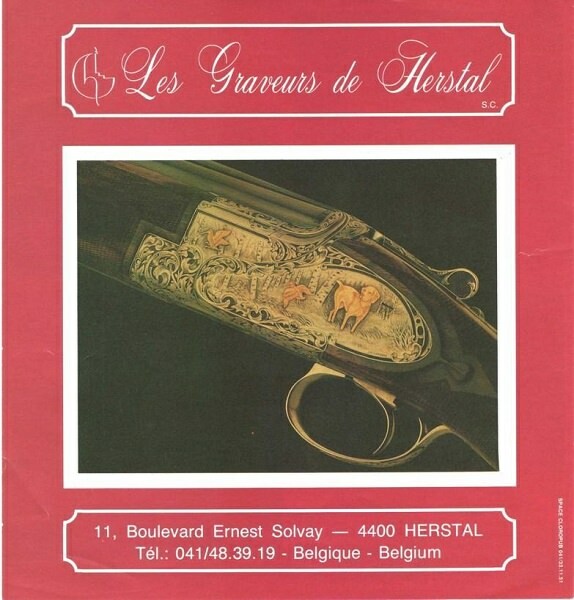 J'espère également trouver une brochure publicité de les gravuers de Herstal, 1987-1992. Thank You. Please watch for one when you go to Germany in November. Thank You. I have one of the guns featured in the brochure. 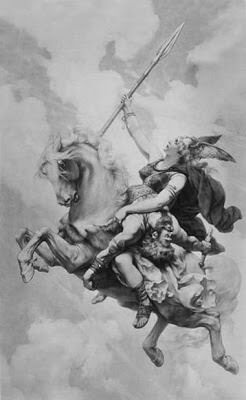 It is based on characters and themes from Richard Wagner’s ‘Der Ring des Nibelung’. I thought you might find this interesting since you are from Germany. The scene on the left side is based on an oil painting by Konrad Wilhelm Dielitz (1845-1933) entitled ‘To Valhalla’ which was strongly influenced by Wagnerian costumes and stage decorations from the 1876 Bayreuth, (Bavaria) premiere. The brochure would add significant provenance to this new acquisition. Yes, Thank You. The site is my source for discovery of the brochure's existence. I remain optimistic that one of my contacts in the Liege - Herstal area will eventually produce one. The long shot was discovering the gun, purchasing it, and exporting/importing it. It is 'one-of-one', so I presume the brochures were much more plentiful. I genuinely appreciate any interest and assistance in this endeavor. Hi anatidae ... I am in Germany heading back stateside tomorrow. I did visit my gunsmith and we determined what my superposed was all about. I also asked him about your brochure but he could not help me with it. Honestly ... they are a gun dealer and gunsmith operation and know quite a bit about all kinds of guns including FN Browning but they are not a collectors shop. I am still thinking how I could get more info. My next stop is Kriegskorte who will export my FN and see if he can help. Thank You , Alex - I appreciate your efforts. Congratulations on securing your FN A1. Krico was the export agent for my gun. Arndt (father) and Franziska (daughter) were very good to work with. Perhaps Arndt knows someone who could possibly provide a source for the brochure. Thanks for your interest and assistance. Hi Anatidae ... PM sent. I have a completed form 6 in triplicate on hand. just need to correct the S/N number. I have imported shotguns before in 1996 ... I was told it takes 60 days for approval through a Class 3 FFL. My experience (with 4 different imports through an actual import agent) has been 1 day to 3 weeks on approval. Most will tell you it could take 6-8 weeks. Hi Anatidae .... did you get my PM? Your offer to make contact with the importer would be very welcome! Thank you! Hi Anatidae ... i didn't get an e-mail from you. Sorry! I also check my spam folder usually very diligently, but nothing. Can you resend?? Thank you and sorry for all the bother!